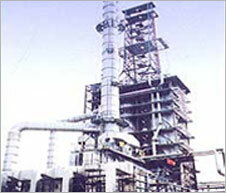 Carbon Dioxide Production Plants based on consumption of oil, gas and solid fuels. Storage distribution equipment e.g. CO2storage tanks, CO2 cylinder manifold CO2 vaporizer, CO2 road tankers. 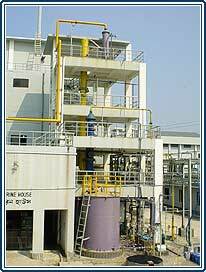 State of the art carbon dioxide plants are supported by well trained and experienced engineers who install & guarantee the performance of these plant. 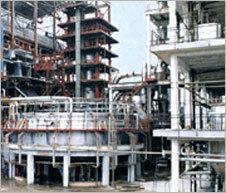 We provide Soyabean Oil Production Plants through solvent extraction process. Solvent Extraction of Soyabean Oil from Soyabean seeds involves the consumption of large quantity of chemical. 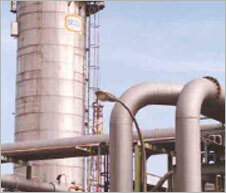 We ensure the lowest consumption of Hexane in the process, which is very critical from economical angle. We are fully equipped to supply any of the following cost effective plant based on latest technologies available world wide.